For most individuals public speaking is avoided at all cost, but occasionally fears have to be cast aside when the day-to-day work routine calls for a presentation or public speaking engagement. With the proper tools, public speaking can become easier over time and to some may even become second nature. 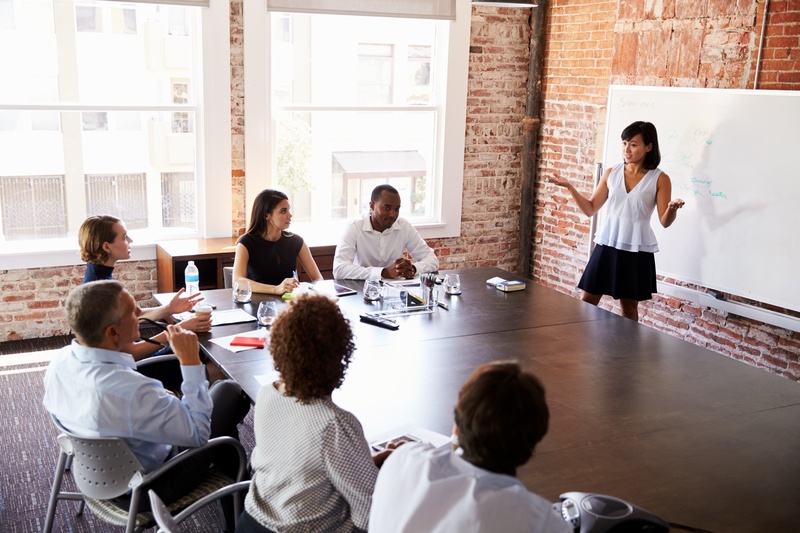 Incorporating a few interpersonal communication skills and practicing them daily, whether in meetings or over the lunch table, will help improve public speaking abilities. Start by applying these six techniques and continually practicing them in normal interactions. Being prepared is key when speaking in public, but there is a fine line between being prepared and over-prepared. It is important to be comfortable with the materials and have a basic understanding of the goal that needs to be achieved in the presentation. Don’t fret over every detail, instead review the information and develop an outline for what needs to be covered. Do no try to memorize paragraphs, but instead write out bullet points and touch base on those items. Energy is a huge component in regards to capturing an audience's attention. Showing passion for the subject and using the right inflections in vocal tone brings energy to the table. This excitement for a subject matter will better engage the audience and pique their interest to learn more. It is crucial for this energy to reflect the presenter’s speaking style, while supporting the content being shared. Pausing not only gives the speaker the time to think and breathe, but also provides the listener with an opportunity to digest what the speaker has told them. Brief pauses give the speaker a moment to process their next thought, and helps reduce the use of filler words like “um” and “uh.” Pausing may seem awkward at first, but with practice it is easy to see that pauses are an integral part of interpersonal communication. Communication is about connecting. As the speaker addresses their audience, whether that is their boss or a room of 500 individuals, it is vital that listeners feel like the presenter is reaching out to them personally and forming a connection. The best way to do this is by delivering one thought to one person. Identify an individual in the audience and maintain eye contact with them through the course of one thought. After the thought is complete, use a pause to move on to another person and connect. This simple action provides full audience engagement, even if it is impossible to connect with everyone in the room. A nervous habit some might have is walking around or fidgeting during a presentation. This can be avoided by staying grounded in stance. By staying grounded, the speaker keeps the audience focused on their facial expressions, hand gestures, and presentation, not on where they are going or what their feet are doing. If there is an opportunity to move across the room, the speaker should move with reason. For instance, the presenter may want to use a pause to walk toward the other end of the stage and address a different section of the audience. They should say their thought, then use the pause to make a deliberate move, engaging with the audience again once they are grounded in the new position. Presentations can be stressful, therefore it is important that the speaker takes a moment for themself before beginning their speech. Take a breath, gather thoughts, and then begin talking. The presenter should make sure they are mentally and physically prepared for the speaking engagement. Some individuals may need to do a few push ups or jumping jacks to boost their energy, or others might need to meditate. Whatever helps reduce nerves, take five minutes before the presentation and do just that. The purpose of communication is to connect. Connecting builds trust and strengthens relationships. By practicing these tips every day, public speaking will become more natural and authentic. The authenticity in the presentation will build a relationship with the audience and will better engage them and keep them focused. Public speaking doesn’t have to be something to dread. By keeping the energy up, connecting, staying grounded, and taking a moment before beginning, it will be easy to build strong interpersonal communication skills.